PALMER — The pilot of a K2 Aviation flightseeing plane that crashed near Denali in early August lived long enough to report two possible fatalities before communications ceased, according to a National Transportation Safety Board report released Thursday. The crash killed all five people aboard the de Havilland Beaver, making it the deadliest in recent history for an air taxi flying into Denali National Park and Preserve. The plane left Talkeetna's airport just after 5 p.m. Aug. 4 and crashed an hour later, authorities said. Pilot Craig Layson, of Michigan, and four Polish visitors died in the crash. The plane came to rest in a crevasse at almost 11,000 feet altitude, high on a knife-edge ridge of Thunder Mountain about 14 miles from Denali's summit. K2 told investigators the one-hour tour was scheduled to fly over multiple glaciers and the Denali climbers' base camp on Kahiltna Glacier at 7,200 feet, then return to Talkeetna. Before he died, Layson conducted two satellite phone calls with the K2 office within an hour of the crash. The NTSB preliminary report describes the first call, made by Layson: "The pilot stated that they had impacted a mountain and needed rescue. The call only lasted a couple minutes before the connection was lost." The call came to K2's main operations number, lead NTSB investigator Shaun Williams said Thursday. K2 tried several times after that to contact Layson without success, Williams said. "Then finally it went through." That second call lasted an unknown period of time, he said. Layson in the second call told K2 "he was trapped in the wreckage and there were possibly two fatalities," the report stated. "No further information was received before the connection was once again lost." The plane's GPS track data indicated it flew over base camp at 5:46 p.m., then turned south above Kahiltna Glacier before turning left toward Talkeetna, the report says. The track terminated near the ridge high above the glacier. The Alaska Rescue Coordination Center got an alert from the plane's emergency locator transmitter at 5:53 p.m., NTSB learned. Three minutes later, K2 was alerted the satellite tracking had stopped moving, and the air carrier immediately initiated lost-aircraft procedures. Bad weather kept rescuers from reaching the craft for more than 36 hours. The National Park Service high-altitude helicopter headed for the coordinates transmitted from the downed plane just after 8 p.m. but couldn't reach the site, the report says. The Alaska Air National Guard and Army National Guard also participated in the search and rescue, as did the U.S. Army. A ranger lowered by helicopter the morning of Aug. 6 found the bodies of the pilot and three passengers inside; the body of a fourth passenger was found four days later toward the back of the plane, according to the report. The plane was fractured behind the trailing edge of the wings, Williams wrote. The fuselage was "splayed open with blown, packed snow inside." 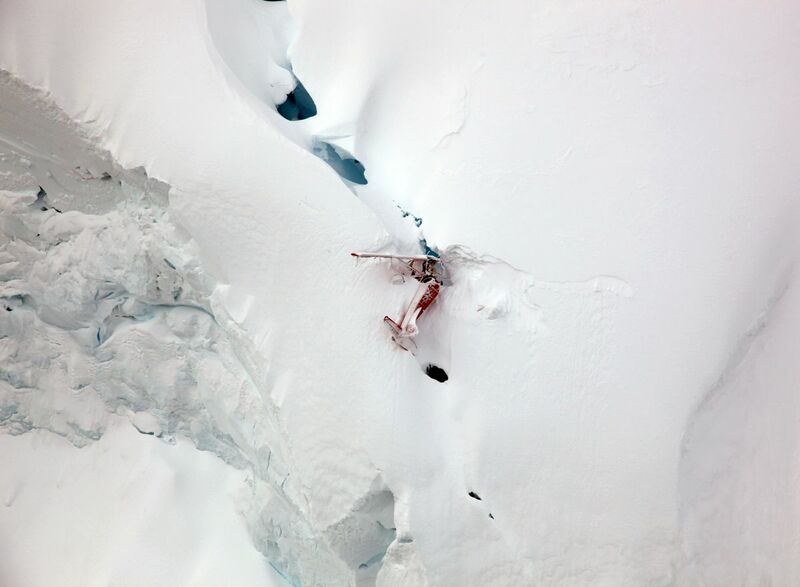 The fragmented aircraft remains perched on a hanging glacier on the north side of Thunder Mountain. The right wing came to rest several hundred feet below the main wreckage. The National Park Service last week ended efforts to recover the wreckage and the bodies inside, citing a harrowing and risky combination of steep terrain, avalanche hazard and the condition of the aircraft. Williams is being assisted in his investigation by Federal Aviation Administration staffers in Wasilla and Washington, D.C., as well as K2 Aviation. He said Thursday that clouds obscured the crash site when investigators conducted a fly-over. It's unclear whether another attempt will be made. Investigators are still in the early stages and will need to conduct further interviews with K2 Aviation and other pilots in the area. Williams said he was also still trying to establish Layson's aviation history including flight hours and time spent flying in Alaska's mountains. A newspaper in his hometown of Saline, Michigan, said Layson spent the last two summers working as a pilot in Alaska. An NTSB factual report on the crash is due out in 12 to 18 months. A finding of probable cause for the crash will be released within two months of the report.